Look up shelter in Wiktionary, the free dictionary. For other uses, see Shelter (disambiguation). Fishermen's shelter houses on Barreta Island, Portugal. 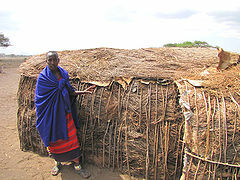 A shelter is a basic architectural structure or building that provides protection from the local environment. Having a place of shelter, of safety and of retreat, i.e. a home, is commonly considered a fundamental physiological human need, the foundation from which to develop higher human motivations.